Haida Heritage Centre at Kaay Llnagaay is an award-winning Aboriginal cultural tourism attraction located in Haida Gwaii, Queen Charlotte Islands on British Columbia’s northwest coast. It is a magnificent 53,000 square foot cedar multi-complex consisting of five contemporary monumental timber longhouses. 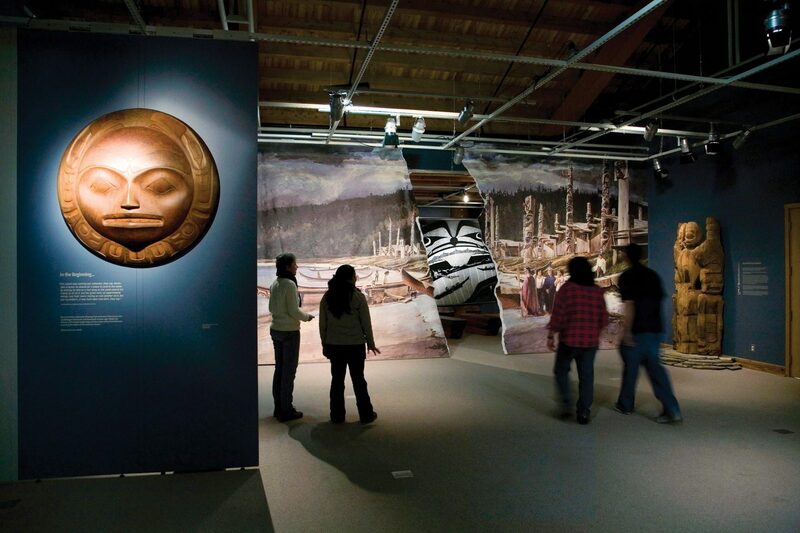 The Centre houses the expanded Haida Gwaii Museum, additional temporary exhibition space, meeting rooms, classrooms, the Performing House, Canoe House, Bill Reid Teaching Centre, the Carving Shed, a gift shop and a small restaurant/cafe. The museum and exhibit areas are illuminated utilizing a two-circuit museum grade track lighting systems.